Our latest installation of a single Kegel Mini lane at Flinders on the Mornington Peninsular in Victoria. 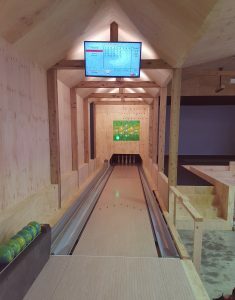 The owner asked us to fit a bowling lane into a private entertainment area that also has a golf simulator. The whole venue is lined in pine panels and when finished will include a full kitchen facility and bar. 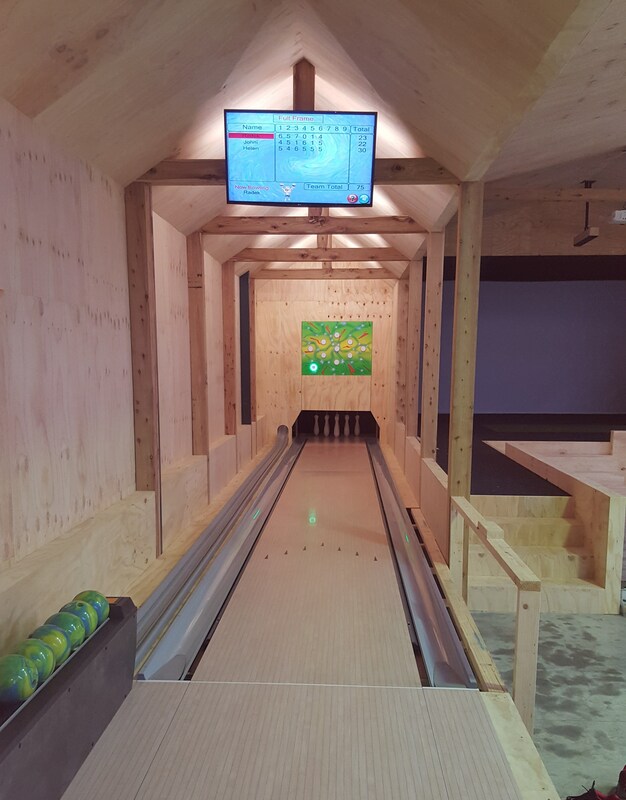 We encounter the question all of the time were the client has only limited space to fit a full size bowling lane. Talk to us and we can design a system that overcomes this issue. We can shorten the lane surface to any length that the customer requires, however we recommend to have it not shorter as 12m.